After 10 years of broadcasting operations, Barça TV decided to undertake a complete technological update of its equipment that involved migrating into a tapeless TV production system. 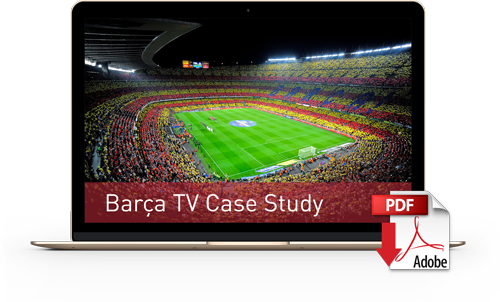 Furthermore, the project had to help the channel to become quicker and more agile when managing its programming and content, which is completely dependent on F. C. Barcelona’s news and immediate match results. Thanks to VSN’s solutions, Barça TV programming schedules may now vary in a very short time frame depending on game scores and breaking news. Currently, the new software implemented allows to create two parallel programming schedules and decide in the last minute which one will finally be broadcasted. VSNMulticom system constitutes the heart of the whole channel’s equipment. It manages the Playout servers, makes requests to the MAM solution for media files that need to be broadcast and it also manages the database including all materials that can be aired. Barça TV uses the broadcast management system VSNCrea TV to decide most of the programming planning. Here everything is planned and registered until the MCR operators import the rundown into the Automation software directly from VSNCrea TV.